As we set up our stall against the beautiful backdrop of Sheffield’s Winter Gardens, we weren’t sure how well passers-by would react to an offer to discuss the UK’s productivity puzzle on their Saturday morning. We needn’t have worried. As part of the ESRC’s Festival of Social Science we were challenging the general public to pick the top 3 issues they think we should be focussing on. After only a brief introduction to the productivity puzzle and our work with PIN, we were delighted with the depth of conversation that soon flowed. First to gamely accept our challenge was Peter, a former steel worker. After posing some excellent questions of his own around how productivity can be measured when it comes to intangibles (if you’re reading, Peter, see here…) the conversation turned to the decline in the skills to make things (our work around education and skills is ably led by Dr Maria Abreu). Reflections on a decline in manufacturing skills became one of the key themes of the day. Perhaps not surprising, considering the region’s history. Another common theme arose in variations of a question posed to us, along the lines of ‘why do you want to make people more productive? Doesn’t that just mean making people work harder?’. And is there a more important question? Indeed members of our invaluable International Advisory Board have always provided a strong steer that our work be underpinned by principles of wellbeing and a vision of inclusive productivity. However, it was a pertinent and welcome reminder to receive the same steer from the Sheffield public. It was a pleasure to see parents engage their children in our challenge and do our work for us in breaking down the different themes that we are looking at. Many of the children who attempted our challenge were of the firm belief that “inventing things!” is our sure-fire route to success (and they might be onto something – see Professor Robert Huggins’ analysis of the innovation-productivity debate). At the other end of our participant demographic, many gravitated to the area of health and wellbeing (led by Dr Leaza McSorley). More than one opened with the rueful refrain “well, I’m getting on a bit, so…”. 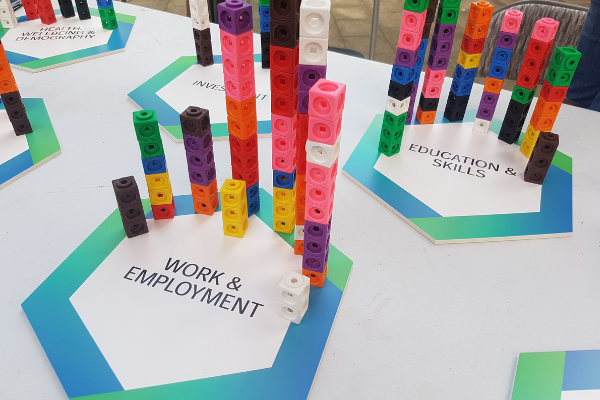 By the end of the day, skills & education, work & employment (the theme led by Professor Kirsty Newsome at Sheffield), and health & wellbeing were ranked as the most important by the surprising number of individuals who took up our Saturday challenge. The real value of the exercise for us was in the rich stories that were shared in the process, bringing to life the themes of our work and strengthening our desire to find productivity insights that are accessible for all. One overlooked aspect of solving the productivity puzzle is how we can support employees with mental health problems return to work to stay and thrive at work after a period of long-term sick leave. Common mental disorders (CMDs), such as stress, anxiety and depression are costly to individual, their families, organisations and society as a whole. In 2016/2017 it is estimated that 12.5 million working days were lost due to CMDs. During this period, each individual on sick leave due to CMDs took an average of just under 24 days off. A recent report found that the cost of mental health problems to the UK economy is £34.9 billion a year or £1,300 for every employee in the UK economy. Despite what might be expected, it is not the cost of actual sickness absence that is the highest but the loss of productivity; people being at work and unwell, also known as presenteeism, or people leaving their job as a result of poor mental health. Although there are no official figures in the UK, data from other countries show that relapse is frequent, as is turnover. Furthermore, over time workers who have been on sick leave due to CMDs also have a higher risk of being laid off due to reduced performance. We therefore need to understand what can be done to support workers with CMDs once they have returned to work after a period of sickness absence. Support includes not only helping them stay at work but also to achieve their previous performance levels and help them thrive at work. Support for workers may come from resources outside work such as a healthy life style, support from family and friends, continued support from their GP, from local charities and community support and indirectly through the availability of affordable housing and childcare. Organisations can also do a lot to support workers with CMDs returning and thriving at work so that they can reach previous levels of productivity. 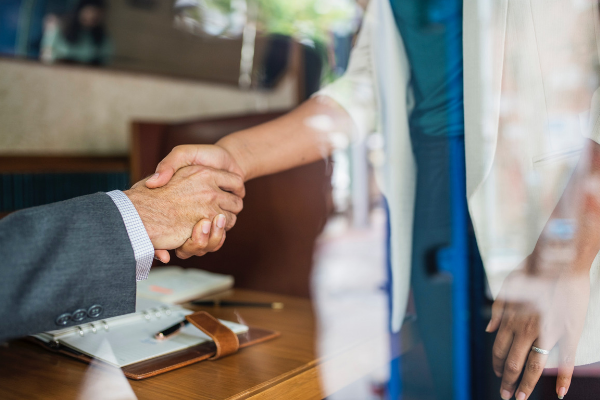 Resources that organisations can offer include work adjustments, making sure that workers return to a safe environment where colleagues are not afraid to ask questions but at the same time accept that work adjustments may be needed. Line managers play a big role in making work adjustments, and adjusting these adjustments over time as the returned worker’s needs change. HR policies and practices such as flexitime and working from home policies can also help.